That is awesome what these sisters are doing!Very,very inspiring. They are amazing. Does anybody know how to be a ccp? So a CCP is a Cute, Cool, and Popular. You don’t necessarily have to look cute, but dress with a cool or cute outfits. You can hang out with CCP kids and you’ll probably become one. But remember, you don’t really have to do that. Just be proud and be who you are! Heres my advice:Try and hang out with them. Then tell them about Dork diares and ccps and dorks. Then ask those poular girls if they think your a ccp. Wow… Good job Melati and Isabel! This has inspired me to buy paper bags now, you have changed Bali! these girls are awesome i love this! They changed the world… great story. Um.. first of all you listen and second we are animals too so.DONT LITTER. Yes good bye trashing the ocean.And we need plastic sometimes not to trash earth .Anyways the whole thing you wrote(which took forever) I had to read soo it’s getting close to earth day too so. I am all in with no trashing the ocean! You two are so amazing. I think you set an example for all girls. GO WIJSEN! It is so cool to know that girls,and kids, can make such a big impact on the environment and the world. Wow that is really cool! I’m about the same age as them, and while they are changing the world, I’m just….here. Wow. Those people are amazing. I want to do that too. But how? The first step you should try would be to not litter and always remember to recycle!!! And tell your family and friends to do the same. If everybody just took care of their own trash, the world wouldn’t be so polluted. Really great girls way to go you are amazing I am amazed and I also try to use less plastic I always recycle plastic I am a proud I admire these girls wonderful! 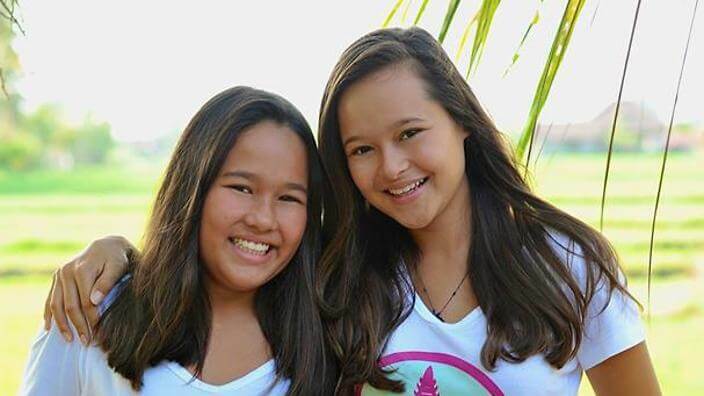 If JUST 2 girls can make Bali plastic bag free, then just think of how much we could do! Lets work to save the planet, because litter and pollution is hurting us, animals, and the environment. I love the song ‘Different World’ by Alan Walker, it has a great message. Check it out! These 2 girls did something awesome. Lets be inspired! Hi HorseCrazyGirl! Ikr! I feel bad about the nature that gets hurt because of us. It may one day hurt us too. I’m sure that if you love the song, I’ll love it too. Good advice, horsecrazygirl! I will check that song out, sounds interesting. Hey horsecrazygirl, omg I love that song too!!! Finally someone is bringing this up in a song! My class is helping the people who can’t go to school. Pretty much the same. But WOW. They got that part of Indonesia ban plastic bags?! And on top of that their 10 and 12?! I can’t even stop my friend throw the rubbish in my lunchbox!! omg!! !they are soo popular i saw soo many videos about them in school! Wow I wish I can do something like this for my country.who’s with me? Yes, so in my country, it is forbidden to use plastic in markets. yeah me too I am just here to SO SAME!